This magnificent home is accessed by a gated driveway and the entrance to the main house is through a beautiful internal courtyard. The primary residence contains a fitted kitchen and pantry area, a study, two bedrooms and a fabulous spacious living area with vaulted ceiling featuring wooden beams. The living room has a fireplace and dining area. There is a sheltered terrace which faces the garden area. Attached to the main house is a small apartment with one bedroom, bathroom and living area with fireplace. This apartment can be accessed independently from a seperate entrance. In the large garden area are located two extra ¨casitas¨ which are great for guests. Both of the casitas have cooking facilities and private terraces. 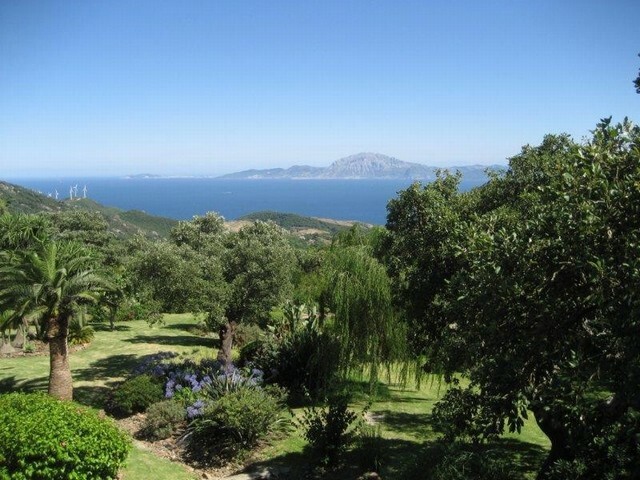 The large mature garden has a small pond with feature bridge enjoys great sea views and Africa in the distance. There is a nice lawn close to the house and fruit trees are located at the far end.